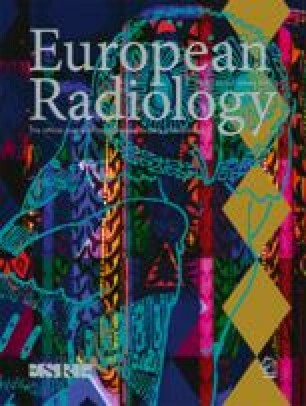 A study was conducted to compare physical and clinical system performance in digital chest radiography. Four digital X-ray modalities, two storage-phosphor based systems and two generations of a CCD-based system, were evaluated in terms of both their imaging properties (determination of presampling MTF and DQE) and clinical image quality (grading of the reproduction of anatomical details of 23 healthy volunteers using both absolute and relative visual grading analysis). One of the two storage-phosphor systems performed best in both evaluations and the first generation of the CCD-based system was rated worst; however, the other two systems were ranked differently with the two methods. The newest CCD-based system yielded a higher clinical image quality than the second storage-phosphor system, although the latter presented a DQE substantially higher than the former. The results show that clinical performance cannot be predicted from determinations of DQE alone, and that a system with lower DQE, under the quantum-saturated conditions in chest radiography, can outperform a system with higher DQE if the image processing used on the former is more effective in presenting the information in the image to the radiologist. The authors thank the following radiologists, technicians, engineers and physicists for their participation in the study: A. Flinck, B. Gottfridsson and U. Tylén for reading the images; L. Björneld and M. Widell for taking care of the X-ray exposures and numerous other practical matters; A. Karlsson for writing the software for the soft-copy evaluation; and M. Håkansson for characterising the grids. Many persons at IMIX ADR Oy, Fuji Photo Film and Agfa-Gevaert contributed by helping us with equipment and valuable advice. A value of 0.90 for the scattered fraction leads to a K value of 0.11, which, if inserted into Eq. (9), leads to values of ΔSNR,rel of 0.63 for the IMIX/IMIX 2000 and Agfa grids and 0.55 for the Fuji grid. Using SF values of 0.50 and 0.60 for the calculations and averaging the results leads to values of ΔSNR,rel of 0.13 for the IMIX/IMIX 2000 grids, 0.09 for the Agfa grid, and 0.08 for the Fuji grid.